Rotana, one of the leading hotel management companies in the region with hotels across the Middle East, Africa, Eastern Europe and Turkey, has bolstered its collaboration with Bahrain Tourism and Exhibition Authority (BTEA) and Gulf Air. 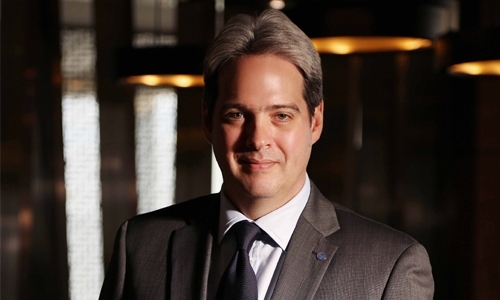 Together with its partners, Rotana will undertake new initiatives to promote the Kingdom’s tourism and investment opportunities in key international markets, Guy Hutchinson, Acting CEO of Rotana, said at the ‘Rotana Hotels 2019 GCC Roadshow’. Bahrain welcomed 10.3 million tourists in 2018, up from 9.7 million the previous year and experienced a 22.3 per cent increase in the number of tourism nights spent in the country to reach 9.8 million, compared with 8 million in 2017. Similarly, the Kingdom’s hospitality sector saw positive growth in the average length of stay per tourist, which increased by 18.9pc, from 2.4 nights in 2017 to 2.8 last year.